Spanish Fork City will have a public meeting regarding Proposition 7, which is to enact a Recreation, Arts, and Parks (RAP) Tax in Spanish Fork City. After a brief presentation from City Staff, the meeting will be opened for public comment for interested parties to be heard. The public meeting will also be broadcast on SF17, YouTube, and Facebook Live. 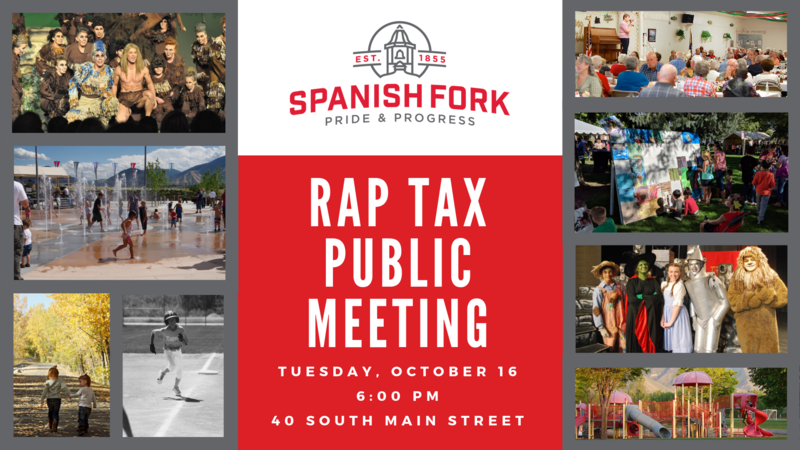 To learn more about the RAP Tax, please visit www.spanishfork.org/raptax.